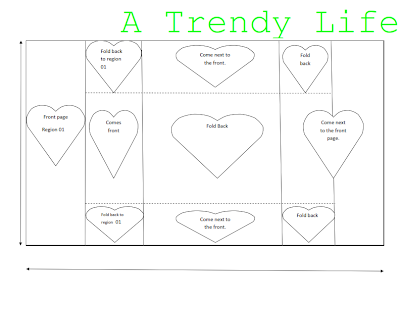 A Trendy Life. 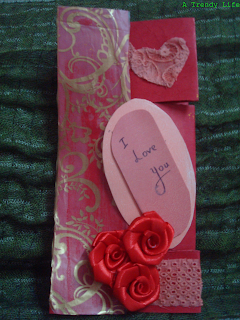 : Valentine's Day Series:DIY: Tri Shutter Card. This month is all about LOVE.So I'm going to post some ideas till February 14th to make gifts,cards for your valentine..It is my first post of this Valentine Series. This is a Tri Shutter card with clear graphical demonstration.so you can make something different for this valentine's day without messing up when you fold the different sections. 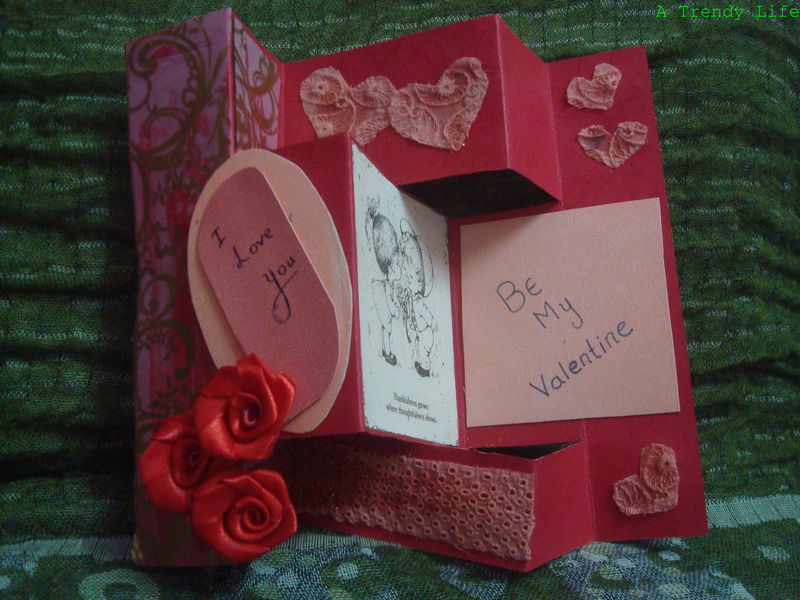 This is the card I made.I didn't use any expensive things still it looks good. I used normal A4 size Embossed card (12"X8" nearly). 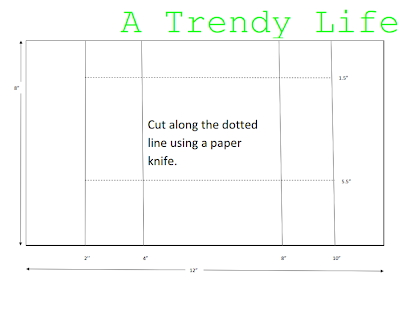 Mark points at 2",4",8" & 10" as given below.Fold up and down.Then cut 2 lines horizontally between 2" and 10" at 1.5" and 5.5". For a clear look click here. This is how it should look after cutting and folding according to the above image. After folding I decorated this using some heart shaped cloth,Roses,Stiff paper,Gold patterned polythene sheet(which I cut from a shopping bag) .And here is the final look of the card I made. I cut those small hearts from one of my old cloth.You can use patterned paper also.and the bottom part also from that cloth.And I used a picture card by Hallmark in the center which says "Thankfulness grows when thoughtfulness shows". This is a simple way to show how much you care about your valentine.I used a pink stiff paper to make those oval and square shapes.You can use anything you want. 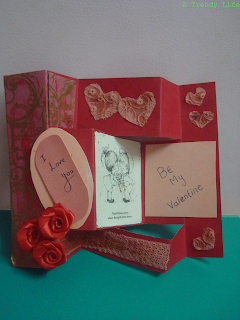 Expect more ideas for this valentine's day and Express yourself better.